Nestled among beautiful mountain ranges of Gangtok. Surrounded by lush green valleys and mesmerizing landscaped, Hotel Sernya is located at a distance of 125 km from the Bagdogra Airport, 118 km from New Jalpaiguri Junction Railway Station and 270 m Local Bus Stop. The popular tourist attractions l ike Enchey Monastery(3 km), Ganesh Tok(5.4 km), Tashi View Point(8.1 km), Saramsa Garden(12.5 km) and many others are situated at a feasible distance from the hotel. Restaurant, Backup Generator, Currency Exchange, Airport Transportation, Room Service, Baggage Storage on Request, Security Guard, Travel Counter, Doctor on Call, Breakfast Services. H/C Water, Moisturiser, Attached Bathroom, Room Heater, Toothbrush/Razor on Request, Wakeup Calls, Iron/Ironing Board, Air Conditioning Room, Television Room, DVD Player. 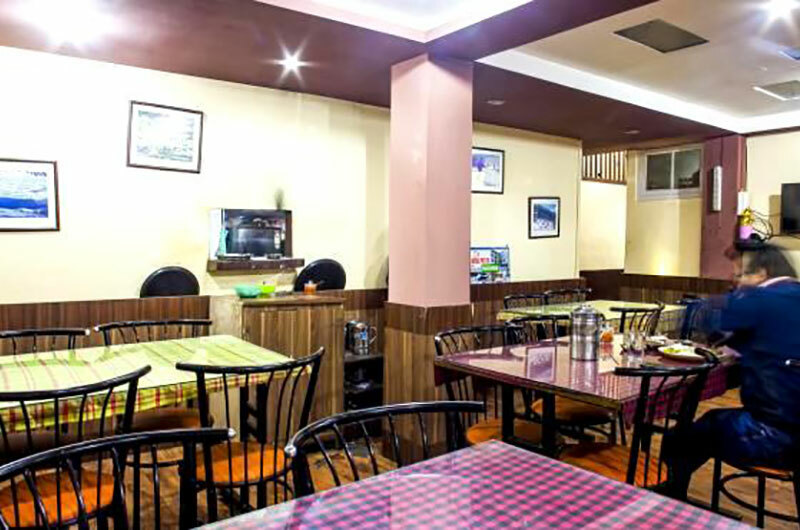 User reviews for "Delight Sernya Hotel Gangtok"